> Hair removal>Wax heaters>Wax heater 2,5 L.
Su carrito contabilizará 13 ME punts para canjear en futuras compras. The user can adjust the temperature according to his preferences. 1. Place the equipment on a flat surface. 2. Open the lid and put the depilatory wax in the upper pot. Place the pot in the upper reservoir and put the lid back on. 3. Connect the equipment to power and switch the equipment on. Turn the temperature control knob for the top pan clockwise until you reach the maximum temperature. The indicator light will turn red and the equipment starts working. 4. 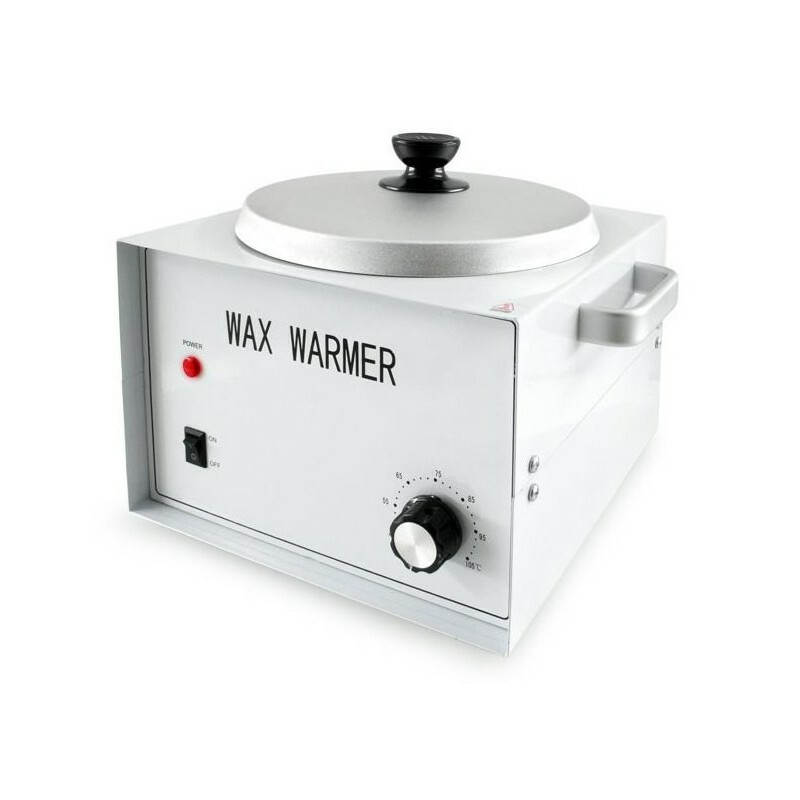 When the wax has melted and has moved from the highest pan to the lower pan, the wax is ready for use at a temperature in accordance to your preference. 5. Depilatory wax adheres to the hair more easily if the skin is cleaned thoroughly before application. 6. Apply the depilatory wax evenly on the skin in the direction of hair growth using a stick. 7. When the wax has dried, tear it off fast in the opposite direction of hair growth. 8. Clean the inside of the equipment and remove wax residues after each use, using a special cleansing product.